← Preschool Visual Motor Apps Gone Free! Counting Dots app, an iPhone/iPad app developed by Ellie’s Games, is a counting app with numbers one to one million. Gone free (not sure for how long). 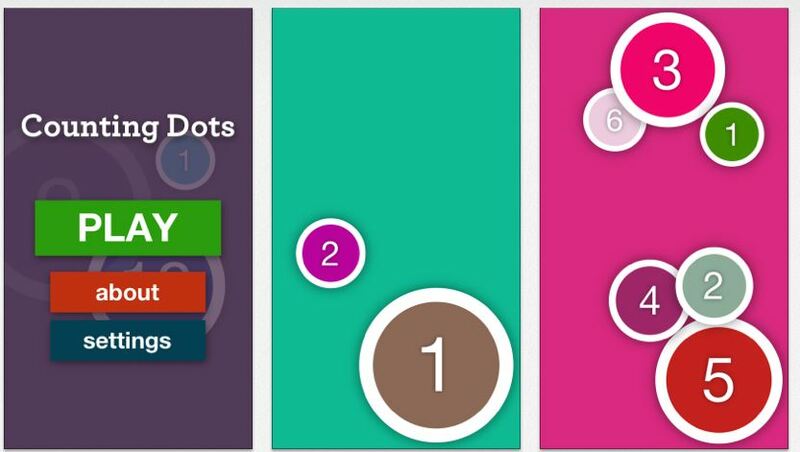 Tap the colorful dots in order from smallest to biggest. Ellie’s Games combines vivid colors and simple game functions to help your child grow while having fun. Color Dots, Color Squares or Color Sliders all are bright, vivid color based games that help expand a child’s growing mind. Simple themes and a user friendly interface make all of Ellies Games simple and fun for children of all ages. This entry was posted in App Reviews, Early Childhood, iPad, iPhone, Math, Uncategorized and tagged App Review, Early Childhood, iPad, iPhone, math. Bookmark the permalink.